I remember the first time I saw and heard Eric Bibb. His lanky stature and the grace and ease of his playing and singing made his performance a bit surreal. The music emanated from his mouth and fingers with such naturalness that it impressed me greatly. 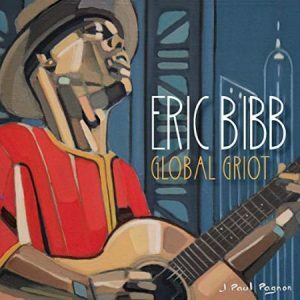 Son of a folk singer and political activist (and unafraid to take a stand himself), Bibb offers up a pair of CDs that tie to the West African storytelling method (griot) and features artists and production support from around the globe. Having grown up in a home where Bob Dylan , Odetta and Pete Seeger were routine visitors and with Paul Robeson as his godfather and a musical family, it is no wonder Eric took so well to music. After attending New York’s High School of Music and Art, Bibb gave up a formal education at New York’s Ivy League Columbia University in 1970 for Paris and learning blues guitar under Mickey Baker. He later moved to Sweden and toured the blues scene in Europe writing and playing his own songs all over Europe. His career spans five decades and he has been nominated for two Grammy Awards and many Blues Music Awards. Noted World Music star Habib Koete’and noted West Africa Musician Solo Cissokho who plays the 22 stringed kora appear here along with his long time friend Harrison Kennedy who sings on four tracks. Crossroads’ fans will know that griot is an oral musical history tradition in West Africa where the tribal and family histories are set to music and passed down orally. Rap music is an off shoot of this tradition. Many think rap sprang from urban music on the East and West Coasts of the US; in reality, it has tie back for centuries to West African tradition, Bibb thinks the words “Global Griots” aptly describe he and his friends and their musical styles and approaches. Bibb begins with “Gathering of the Tribes,” with Bibb on vocals and guitar, Cissokho on African vocals and kora and a griot choir trio backing them. The kora is delightful and Solo’s chants add to the mood. It’s a great start. “Whereza Money At” features Kuku Ansong on trumpet and Owura Sax on tenor as the horn section on this song about oil money exploiting the poor peoples. Christer Bothe’n plays the six string harp (donso n’goni, also known as the hunter’s harp) and the vocals with Bibband drummer Kwame Yebosh and bassist Glen Scott are cool. Following that is “Human River,” a song about people who tried to conquer cities and nations from Capone and Hitler to Trump but the might human river called love is the ultimate winner. There is some nice slide by Steffan Astner here, in this slow and flowing piece. Bibb’s wife Ulrika backs him on vocals, too. In “What’s He Gonna Say Today” Bibb compares the talk of Trump to that of the cartoon Family Guy.Paris Renita backs Bibb on vocals as Bibb sings of the mess in the White House. 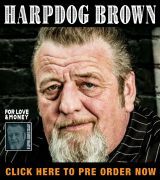 “Brazos River Blues” has Bibb singing about a more violent time as he plays 6-string banjo and baritone guitar and Kennedy sings with him. Michael Jerome Browne plays some good harp here in this minimalistic tune. Koite’ and Bibb sing and play guitar on “We Don’t Care.” A seven person griot choir also chimes in on the choruses on this song that describes how we don’t care about the effects on the environment as we live lives of excess. “Black, Brown and White” is a Big Bill Broonzy tune where Kennedy again helps on vocals. The song tells us it alright to be white and brown can stay around but black has to get back. Kennedy also sings on “Listen For The Spirit,” where Bibb sings we should listen for the spirit in the music to soothe our souls and guide us home. Kennedy again sings with his edgy style and Mats Oberg plays some harp to fills. Next is “Hoist Up The Banner,” where Bibb backed by his wife sing about hosing the banner of love, the flag even flag-wavers should hold up. Koite’ returns for “Mami Wata/Sebastian’s Tune.” The choir returns in this uplifting tune to the female water spirit Mami Wata. “Send Me Your Jesus” is a thoughtful piece about brotherhood and being like Jesus. “A Room for You” feature Drissa Dembele on balafon, an African xylophone and Bibb on guitar. Mostly instrumental, Bibb and his wife sing the latter third of the cut that tells the listener that there is always a room for you in their house. “Remember Family” closes the first CD. The song hearkens to family should always in our thoughts no matter where they are. Added vocalists and Kahanga “Master Vumbi” Dekula on guitar do a nice job as does Ale Moller on trumpet. The haunting “Race & Equality” starts the second CD. A beautiful beat and windswept musical sounds glide along as Bibb sings about the unity of man. Baritone sax by Ed Epstein adds to the mix. “Grateful” is in a sort of calypso style where Bibb sings about how he is thankful for his woman while playing banjo. Next is “All Because,” a pretty ballad of friendship. Ulrika Bibb does some nice backing vocals here and there is some interesting kora, guitar and baritone guitar, too. Solo Cissokho plays kora on “Spirit Day,” an excellent instrumental interplay with the guitar and kora. An occasional chant by Solo pops in for effect, but the beautiful finger picking on 12-srring resonator and kora here is amazing. “Let God” tells us to let God do what we can’t do and understand we are all one, a wonderful sentiment sung to a peppy and moving beat. In “Last Night I Had The Strangest Dream” Bibb paints a picture of a world without war. A lilting melody soothes the listener and the lyrics match up well. 12-string guitar and backing vocals again by Ulrika are nice touches. The instrumental “Picture A New World” carries that idea from the last one and instrumentally builds into a feeling of unity. Bibb on guitar, Solo on kora and Olli Haavisto on pedal steel make an interesting mix. Linda Tillery is featured on “New Friends,” a song that asks our leaders to join together and to respect everyone equally. Tillery sings with emotion and Bibb and company fill in equally well. “Mole In The Ground” is a song about wanting to be a mole in the ground so he could take mountains down. Bibb and Ken Boothe sing about how simple things in nature have a position of importance. The shared vocal lead and call and response is well done. “Michael Row The Boat Ashore’ is a well known slave tune first noted during the Civil War. Featuring a scratchy sound like an old recording to start, Bibb and company break into a sweet rendition of this classic. Things conclude with “Needed Time” and some interesting string picking and interplay. A long intro and minimal harmonizing vocals basically repeating “Right Now is the Needed Time’ sends us off well. The kora and other strings blend and play off each other and make for a great conclusion. 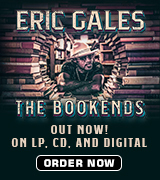 This double CD will certainly garner recognition and award mention in the acoustic side of the blues award worlds. It is a beautiful and moving tribute to harmony and peace in a world where we are all brothers and sisters, This is a fine and touching set of tunes played with artistry and restraint. Words cannot express how much this is a fantastic album, so suffice it to say it just needs to be heard by everyone.